Merlin Entertainments has appointed Stripe Communications as its retained PR and social media consultancy for its London portfolio of attractions. This includes Madame Tussauds London, London Eye, Sea Life London, The London Dungeon and Shrek’s Adventure! London. The brief is an expansion of Stripe’s initial appointment as the retained agency for Madame Tussauds in 2016. Previously, the PR and social of other Merlin attractions in London were handled by separate agencies, but these five attractions have now been consolidated to one agency. The scope of work has also expanded for Stripe and now includes domestic and international press office management, brand campaigns, news hijacking and all issues-and-crisis management for the London attractions. Stripe’s social media remit includes development and implementation of social media strategy for all attractions. plus ongoing community management and influencer strategy and engagement. Stripe’s recent work with Merlin Entertainments has included placing Madame Tussauds' wax statue of Donald Trump outside the US Embassy when the US president declared on Twitter he would not be visiting the UK to open the new London embassy building in Vauxhall. 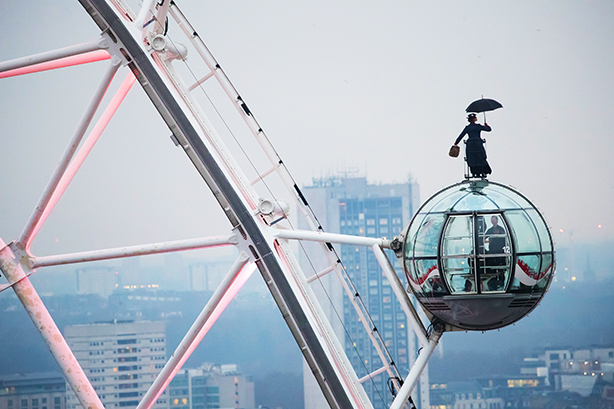 Last December, the London Eye hosted the nation’s favourite nanny to coincide with the European premier of Mary Poppins Returns. "They have already delivered some outstanding results for us across our attractions and we look forward to continued success with Stripe as a key agency partner," Merlin Entertainment marketing director Gemma Cracknell said. Stripe Communications managing director Chris Stevenson added: "It is a privilege to work with some of the UK’s most iconic attractions and a team with boundless ambition to produce bold and innovative work. It is a tremendous collaboration between the Stripe team and Merlin Entertainments London marketing team and we are confident 2019 will be another huge success working closely together."